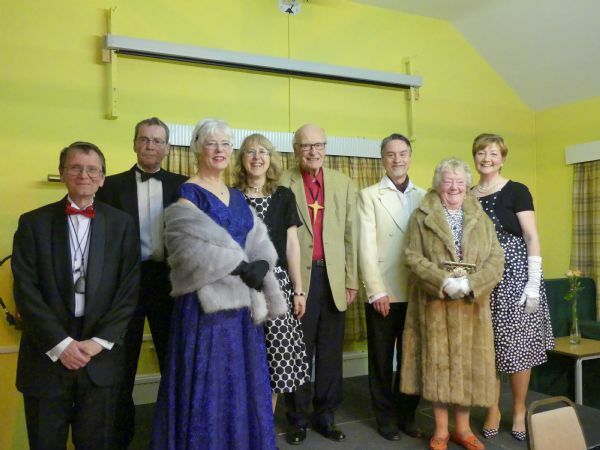 On Saturday 23rd February Ebrington village hall was once again full of armchair detectives hoping to follow the clues to the murderer in the 18th Annual Ebrington Murder Mystery, Poetic Justice, set in the late 1950s. 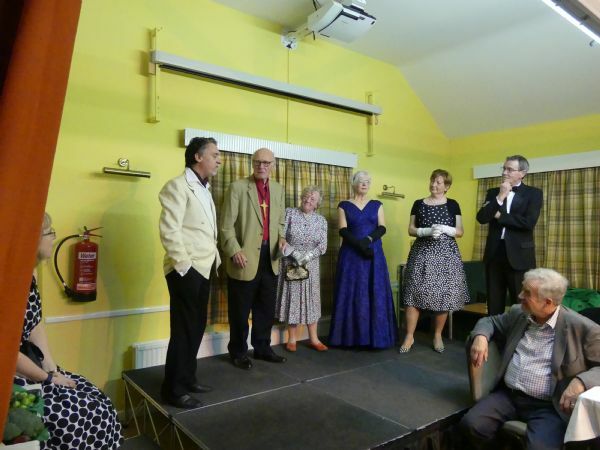 There were the usual suspects – village stalwarts who for one night a year put on their costumes and bewilder and beguile. Such a good job was done this year that – for the first time ever – no one guessed whodunit – Kate Guest playing a convincingly demure Kitty. Somewhat alarming was that half the audience pronounced that the vicar, played with his usual understatement by Peter Sattherwaite, must have done the deed. Other suspects were played by Debbie Smith, Margaret Smith, Tim Guest and Seamus O’Reilly. 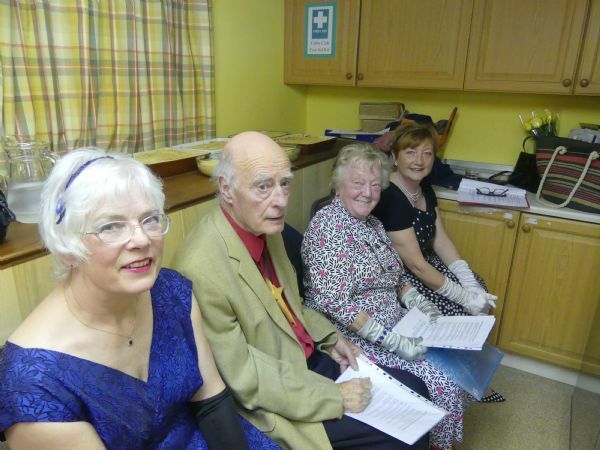 Another consistent was the fabulous three course hot supper provided by Stan and her regular band of helpers. The hall was filled with questions, accusations and laughter testimony to the enduring popularity of this annual event, written and directed by Margot Worton. Just over £1000 has been raised for church funds so the vicar and his fellow suspects really did do it after all. Thank you to all helpers and to our audience, many of whom have been with us from the start and join in by dressing up.